For thirty years, best friends Stephanie and Philippa have been practically inseparable. There’s nothing they would not do for one another. Until a few simple words change everything. Steph, eternally solid, considerate and dependable, is begging her best friend to lie to the police as she’s desperately trying to conceal two shocking secrets to protect her family. Pip, self-consigned to the role of scatty, frivolous hot-head is overwhelmed; she’s normally the one asking for help in a crisis although never anything as catastrophic as this. Both women have always believed that friendship is built on mutual selflessness, compromise and trust. Are those beliefs now to be tested beyond endurance? Would you lie to protect your best friend? That’s the basic premise around which Adele Park’s latest release is based, but this story is so much more than that. Set over just five days, the plot is carefully layered and with the inclusion of seamless ‘flashbacks’ as background information, I felt as a reader that I knew the main characters really well almost immediately. I was drawn to Pip straight away. She’s cast as the thin, pretty but scatty and disorganised single mum half of the friendship in contrast to mum of three, Steph who is super organised, totally reliable and leading a seemingly perfect life with a wonderful husband, three children and big house. At first I was sympathetic to Pip and I marvelled at Steph but as the book progressed the real depth in both characters stood out and it was clear that both women were much more complex than first appearances might suggest. About Last Night is very much a character driven book examining the relationship between Steph and Pip as one of them hits crisis point. The book is written in the third person but Adele Parks really knows the mindsets of her leading ladies and builds up an impressive depth to her characters through their thoughts, actions and reactions to the situations they find themselves in. Even the minor characters are spot on and certainly make an impact of the plot – I thought man-eater Kirsten was brilliant – her comments and thoughts made me laugh and horrified me at the same time! Adele Parks really is an observant writer and there is lots of detail to the story which makes it feel very realistic and as I was reading I almost felt like I knew the characters better than they knew themselves. This didn’t stop them surprising me though and I enjoyed the fact that just as I’d made my mind up how the plot was going to go my assumptions were challenged! I don’t want to give the storyline away in my review but the plot really did grip me, building up to a dramatic discovery and then charting the aftermath and reactions of those involved. The position Steph puts Pip in is incredibly difficult one and I admired the way she dealt with it. Although Adele’s book would probably still be classed as ‘chick lit’, About Last Night certainly doesn’t fall into the ‘light and fluffy’ or ‘romantic comedy’ end of the ‘chick lit’ spectrum and it reminded me of some of Lisa Jewell’s more recent work in that it deals with the serious side of relationships (both the romantic kind and the friendship variety). I’d highly recommend it if you are looking for contemporary fiction that will make you think, with wonderfully in-depth characters and a page turner of a plot. About Last Night was published on 23rd June and I’d like to thank Headline for sending me a copy to review. Single Girl's To-do List winner! Congratulations! I have sent you an email. Thanks so much to everyone who entered my blogoversary giveaway and if you weren’t lucky this time, I’ll have more exciting giveaways coming soon! Happy first birthday One More Page! 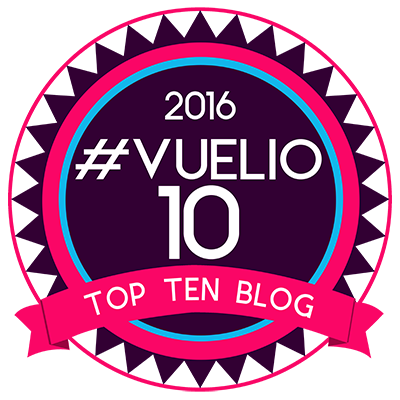 Today is my one year blogoversary (although I only realised this evening – I thought it was tomorrow!) so I thought I’d mark the occasion with a look back at my first year as a blogger and say thank you to everyone who has been so friendly and supportive over the last year by doing a little giveaway. It’s been quite a year; I started this blog as an online book journal, mainly for me to put my thoughts out there on the books I read and hopefully find some like-minded people who might chat about books with me. I admit that when I wrote my first post I didn’t really know what I was doing or what a huge and wonderful community of book bloggers I was about to become part of. I’m still amazed every time someone follows me on Twitter or here on the blog, comments on my posts or an author or publisher asks me to consider a book for review. I’ve written 178 posts in the last year and almost 2,500 tweets. I’ve reviewed 81 books Not huge numbers compared to some but impressive to me! I’m hoping I can continue to blog and review just as much in the next year but as some of you already know, I’m expecting my second baby in August so things may slow down for a little while (at least on the blogging front!) at that point but I’m almost as addicted to my blog as I am to books now so I won’t be away for long! The Single Girl’s To-Do List gives Rachel the perfect heartbreak cure – and proves love is out there if you’re willing to take a chance. This is just for people who follow me already here on One More Page or on Twitter as a thank you for your support over the last year. To enter leave a ‘pick me’ comment in the box below or send me a Tweet and I’ll pick a winner from the entries using random.org after the closing date. This giveaway is open worldwide until midnight (UK) on Sunday 26th June. I’d been looking forward to reading Jessie ♥ NYC for a long time and I was so excited when Keris tweeted to say that the book had been released early that I burned the crumpets in my haste to order it! Having got my hands on it, I read it in a day because I couldn’t put it down. Jessie ♥ NYC is the most romantic book I’ve read so far this year and I absolutely loved the combination of my favourite city with great characters and a story that proves that some things are just meant to be. Main character Jessie heads to New York to spend the summer with her Mum, taking her best friend Emma along for the adventure. I warmed to Jessie and Emma straight away; Keris has really captured the teenage friendship well and as with her debut novel Della Says OMG! has created a lead character that a lot of girls will identify with. Jessie worries about her love life, her future and her relationship with her parents, particularly her Mum who she feels has always put her career first and abandoned her to move to New York. Although Jessie gets her name on the front of the book, the story concentrates equally on New Yorker Finn with alternating chapters initially focussing on Jessie and and Finn in turn. Finn has his own set of issues which are very similar to Jessie’s; he’s in love with the wrong girl (his best freind’s girlfriend) and the expectations of his family are putting a lot of pressure on his decisions about his future at college. As with Jessie and Emma, Keris has written the friendship between Finn and his best friend Scott well and really seems to have captured the mindset of the male characters in a believable way. I loved the way that the two strands to the story kept overlapping whilst the two main characters were barely aware of each other – the book reminded me of one of my own favourite New York films Serendipity. With some good twists in the plot, Jessie ♥ NYC is a fun and enjoyable romantic read. A more serious undertone is added as the book examines two complex parent child relationships and touches on issues surrounding divorce and relationships with a parent’s new partner resulting in a realistic read that has both depth and humour and will appeal to a wide audience of all ages. From it’s shiny gold cover to the words ‘The End’, I was totally gripped by Jessie and Finn’s stories and finished the book with a big smile on my face. Keris clearly loves New York and knows the city well and there are lots of references to films and TV shows set in the city. I’ve been to New York twice but reading Jessie has added a whole new list of places that I need to visit and if I ever head there again I’ll be taking my copy of Jessie with me! ENGLAND’S MOST RUTHLESS QUEEN. Eleanor, Duchess of Aquitaine, is a determined woman who plots and schemes an astonishing path between two equally powerful men in twelfth century Europe, a woman who can manoeuvre and manipulate to safeguard her own lands as effectively as any power-grasping lord. Eleanor is single-minded in her struggle to keep her inheritance intact, leading her to reject one husband and take another who will fulfil her desires. Eleanor intends to reign as Queen and is prepared to bring scandal down upon herself in pursuit of her ultimate prize. Hers is a story of power, political intrigue, passion and love. I’ve been consciously trying to read more historical fiction lately and have discovered some great books in the process, including this book based upon the early life of Eleanor of Aquitaine. Eleanor of Aquitaine is a fascinating historical figure and this isn’t the first historical novel that has had her as its leading lady. Many will know Eleanor as Henry II’s wife and Queen consort of England during the twelfth century but I have to admit that apart from recognising her name, I knew nothing about her when I started reading. The book actually focuses on Eleanor’s early life, following events to the point where she becomes Queen of England and what a life it was; Anne O’Brien brings Eleanor to life as a feisty and ambitious woman not afraid to speak her mind and fully immersed in the politics of the day. As one of the richest women in Europe at the time, Eleanor is drawn as a glamorous, fashionable and sociable character, determined to get what she wants. Yet despite the ruthless nature of some of Eleanor’s actions, I found that I had a lot of sympathy for her as I read this book. O’Brien has certainly brought out the sensitive side to her main character in equal balance to the more ruthless aspects and through Eleanor’s first person account of events, I really enjoyed getting to know her as I read. There is a colourful, varied and large cast of supporting characters, often with their own sub-plots which tie in to the main story and I particularly liked Eleanor’s sister Aelith and young Henry Plantagenet. Despite being six hundred pages in length, this book was a quick and fast paced read that easily held my attention. The Devil’s Consort is packed with intrigue, backstabbing and political manoeuvring. There is a strong element of romance, particularly with Eleanor’s affairs during her marriage to Louis VII and adventure during her participation in a Crusade with much drama as her first marriage comes to an end and she hastily weds a younger man in a brilliant political move. The book has an excellent ‘extras’ section at the end which includes reading group questions, more information on Eleanor including further reading (both fiction and non-fiction) and I loved the ‘what happened next?’ piece which fills in the historical outcome for several of the key characters. Anne O’Brien is definitely an author to watch for historical fiction fans and I look forward to reading more of her work in the future. The Devil’s Consort is out now in the UK (published by MIRA) and has just been released in the US with the title Queen Defiant. I’d like to thank Christabel at Midas for sending me a copy to review. I’m a big fan of Meg Cabot and was very excited when she announced she was writing an adult paranormal series last year. Meg announced the new covers for the series on her blog recently and the title of the sequel to Insatiable! Overbite will be released in the US on 5th July. I’ve had Insatiable on my ‘to read’ pile since my birthday in January so I’d better get reading. Dr. Callie McFay’s travels to the small college town of Fairwick in New York State for a job interview. Despite it being her second choice she finds herself talked into accepting a job offer from the Folklore Department to teach a class on demons and vampires. She also finds herself drawn to an old house in the woods where Gothic novelist Dahlia LaMotte used to live and buys it on a whim, despite the seeming reluctance of the estate agent to sell it to her. I’m really late with my round of last month; blame it on a week holiday with no Internet connection followed by the cold that just wouldn’t go away but enough of the excuses! May was a fab month – I went to my first blogger event at Headline and I read eight books, half of which were e-books. I’m really trying to buy books on Kindle instead of hard copy as I’m running out of room and with baby due in July I need more space but I’m hopeless when I see a pretty cover hence the order for five beautiful books from Book Depository last month … I have no willpower but I do have a fab pile of books waiting for me when my maternity leave starts at the end of this month! Six of these were new releases for May and the others came out in April. My book of the month for May is Ellie Andrews Has Second Thoughts by Ruth Saberton which I loved for being so fresh and funny and for having a leading lady that is down to earth and really made me smile. The most popular reviews last month were Destiny by Louise Bagshawe and Jenny Lopez has a Bad Week by Lindsey Kelk but my most popular post by far is still the one I wrote back in January on my most anticipated chick lit reads of 2011. The amount of interest in my little list and ‘chick lit’ being one of the most popular searches bringing people to the site last month has prompted me to think up some similar posts so look out for a ‘hot new summer reads’ list coming soon. ‘Paige Toon’ was the top search in May and I know many of you are as excited about the release of Baby Be Mine in July as I am but if you haven’t read Paige’s earlier books I can highly recommend all of them. Check out my reviews of her last two; Chasing Daisy and Pictures of Lily - both great summer reads! We’re almost halfway through June but there’s a lot to look forward to in the next couple of weeks, not least my one year blogoversary on 23rd June. Look out for a fab giveaway that day! I’ll also be reviewing The Beach Cafe by Lucy Diamond, Summer at Willow Lake by Susan Wiggs and Adele Parks’ new release About Last Night.